Prime Minister Benjamin Netanyahu on Thursday accused the Israeli media of waging a campaign to unseat him. 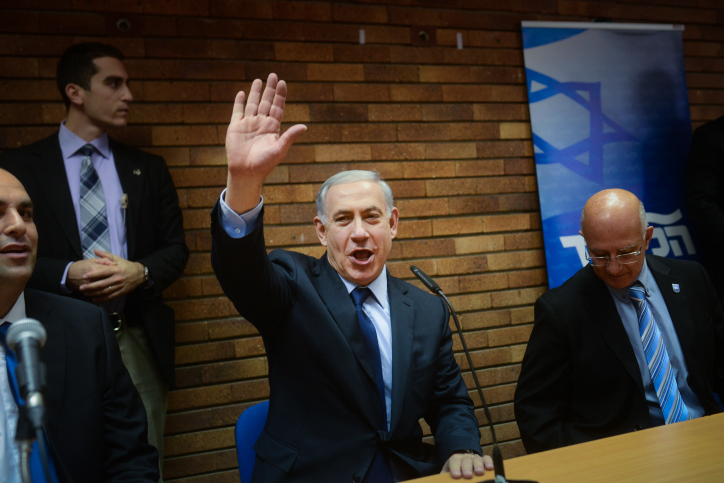 The prime minister, who was addressing his Likud party, spoke in response to the union of the Labor Party and Tzipi Livni’s Hatnua party on Wednesday evening ahead of March elections. “There’s an almost unprecedented, huge media campaign in support of all politicians who don’t support me,” Netanyahu said. “Their objective is to transfer power to the left,” the prime minister said, referring to the center-left bloc forged by Livni and Labor Party leader Isaac Herzog, who were projected to win 23 seats in the upcoming elections. He did not specify what media outlets he believed were colluding to bring the left to power for the first time in nearly 14 years. Netanyahu’s remarks echoed accusations he made in a speech upon firing Livni and finance minister Yair Lapid from their ministerial posts last week. At the time, he said his two erstwhile coalition allies were scheming to orchestrate a “putsch” to unseat him. 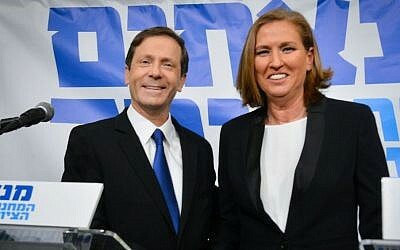 Livni and Herzog announced the merger between their parties on Wednesday, in a bid to establish a large center-left political bloc and oust Netanyahu in the elections set for 17 March 2015. 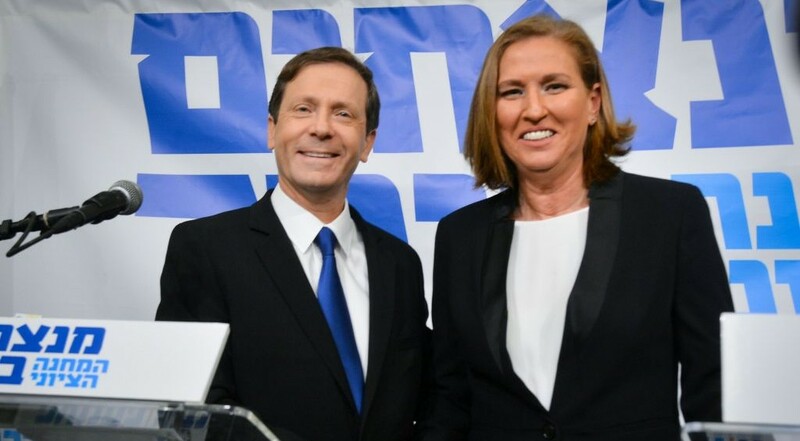 Under the union agreement, the two will share the prime ministership on rotation, with Herzog as prime minister for the first two years and Livni during the last two years, should they win the upcoming elections. While the Herzog-Livni merger will be hard-pressed to attract right-wing voters, Yesh Atid and former Likud minister Moshe Kahlon potentially have a broader appeal. It is hard to predict what effect a rumored merger with Liberman, who is associated with the hawkish right, would have on Yesh Atid and Kahlon’s presumptive party. 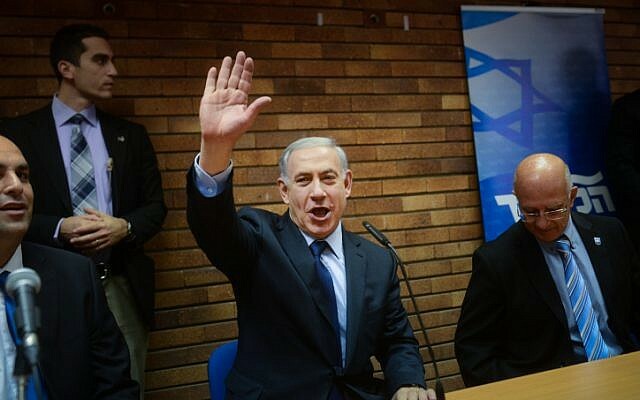 A Channel 10 poll on Tuesday indicated Labor could become the Knesset’s largest party if it joined with Hatnua and Shaul Mofaz’s Kadima party, winning 22 seats compared to Likud’s projected 20. However, the survey indicated that the Israeli right would still have an easier time building a coalition than the left.